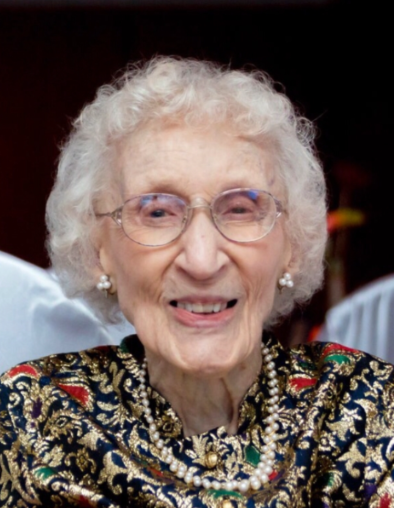 Obituary for Anne E. Staniland | John Syka Funeral Home, Inc.
Anne E. Staniland, 102, of Leet Township, formerly of Baden, passed away peacefully on Monday, February 11, 2019. She was born August 7, 1916 in Beaver Falls, PA to the late Charles and Anna (Brydebelle) Behringer. She was a long time member of Christ Evangelical Lutheran Church, Baden. She was a faithful follower and of her Lord Jesus Christ. Preceding her in death in addition to her parents were her husband, Charles H. Staniland, a brother, Carl Behringer, and a sister, Hilda Werthman. She is survived by a daughter, Barbara (Thomas) Chehovits of Leet Twp., four grandchildren, Kristie (Matthew) Cottage of Economy, Carrie Bierman and fiance John Wasington of Huntington Beach, CA, Todd Chehovits and fiance Jackie Malcomb of Ambridge and Caitlin (Jeffrey) Kreis of Robinson Twp., five great-grandchildren, Matthew Cottage and fiance Gina Warmus of Harrisburg, Kaleigh Cottage of Economy, Max Cottage of Economy, Sophia Bierman of Huntinton Beach, CA and Izabelle Chehovits of Ambridge along with nieces and nephews. Friends will be recieved Friday from 4 to 8 PM in the John Syka Funeral Home, Inc. 833 Kennedy Drive, Ambridge where a funeral service will be held Saturday at 11 AM by her pastor, Rev. Jill McGregor. Interment will follow in Sylvania Hills Memorial Park.